How Wrong Should We Be? A Scientific American article titled How Wrong Should You Be? offered an answer to a question that has been in the back of my mind for a long time. Like many answers, this one raises further questions. Taiichi Ohno’s wrote in Workplace Management that even the best of us are wrong half of the time. That was eye-opening and humbling. Ohno attributed this to the fact that people are prone to misconceptions, biases, holding onto false beliefs. Only by going to see the facts, by testing our assumptions and engaging in a “game of wits” with others can we learn where we are wrong and where we are right. Continuous improvement makes us look back and laugh at what we believed was “the best we can do” a mere 12 or 18 months ago. Scientific discoveries challenge our technological assumptions of what is possible. Changing social norms today may increasing our willingness to fail. A brief look at history tells us that much of what we are sure about today will be rewritten in the future. There may be no sense in striving to be 100 percent right, but how wrong should we be? Applied to our work, we should have standards, personal performance goals and business objectives that are difficult enough so that we can’t achieve them 100 percent of the time. But if we only achieve them half of the time we are in trouble. The challenge is to know at what level of difficulty we should set such tests. How often should we be failing? A research paper titled The Eighty-Five Percent Rule for Optimal Learning by University of Arizona cognitive scientist Robert Wilson provides an answer: 15 percent. The research demonstrates that for a broad class of deep learning algorithms, as well as for learning in humans and animals, the fastest learning progress occurs when the error rate is at 15 percent. Learners should be getting about 15 percent of answers wrong. Otherwise, we are not being challenged at the right level to consistently improve. To those of us familiar with modern expectations of quality, on-time delivery or safety, 85 percent seems poor. Customers expect performance in the high 90 percentile, if not 100%. So how should we think about setting up tests in the workplace that allow us to be just wrong enough to learn, but right enough to meet customer expectations? We face two types of tests in the workplace; those that we must always pass at 99% or 100% and those we should design at the 85% optimal difficulty for learning. The former category is when being wrong has terminal consequences. We need to set these standard, processes and tests so that all of us can perform them at 100%. When being wrong results failures in safety, security, reputation or financial health, the right amount of wrong is zero. This latter category includes situations when we can survive multiple repetitions of failure to learn or build expertise. When being wrong merely means our work is incomplete or incorrect but we are still able to complete or correct it, while learning from it. There is probably a third category which is in flux between the two and includes situations with high uncertainty, unclear severity of the consequences of outcomes, early stages of theoretically stable ventures, and so forth. The best way to approach these is to aim for the lowest possible amount of wrong for the known risks, while learning through survivable failure about unseen ones. Despite the increasing number of promoters of the idea, the main purpose of the workplace is not to be a school. Toyota, Ford and others may have claimed that they exist to develop people, with the building of automobiles being a byproduct. Their customers would disagree with this benevolent propaganda. The workplace is more like a theatrical performance. Behind the curtain or during rehearsals, we can perform at 85%, learn and improve the show. When the lights go on and the curtains come up, we need to put on the show at 99% or 100%. I found this article to be very intriguing because its something that relates to students more so than other groups of peers. Every time we take a test a teacher must know how hard to make that test in order for us to be actually learning and challenging our knowledge base. 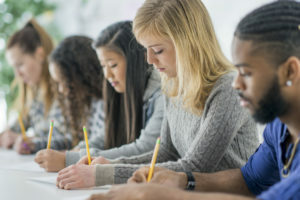 This test can not be too hard where most of the class fails it with scores lower than 65, but it can’t be so easy that all of the students get 100s either. There has to be a happy medium and according to this article 85% is just that. This made me think back to our statistics classes sophomore year when we would use class exam averages as data sets to analyze. The mean would usually hover around that 85% mark and the class high was around a 95 while the class low would be around a 70. It seems to me that 85% number is pretty accurate when it comes to my experience and I just wanted to share that with the thread. I will keep this in the back of my head the next time we get class exam results back and see if the rule holds true yet again.